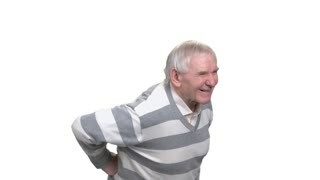 Unhappy man having pain in low back. 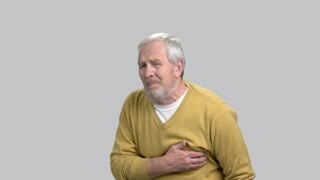 Senior man standing with some discomfort and back pain on window background. 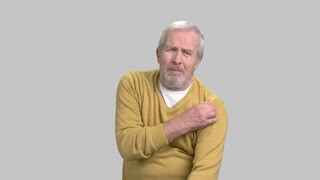 Man suffering from shoulder discomfort. Aged man having pain in shoulder standing on grey background, portrait. 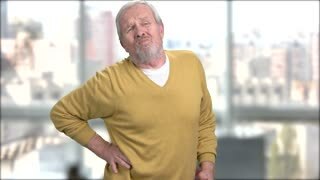 Man having problem with back. 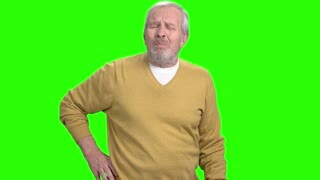 Unhappy senior man suffering from pain in his back, chroma key background.